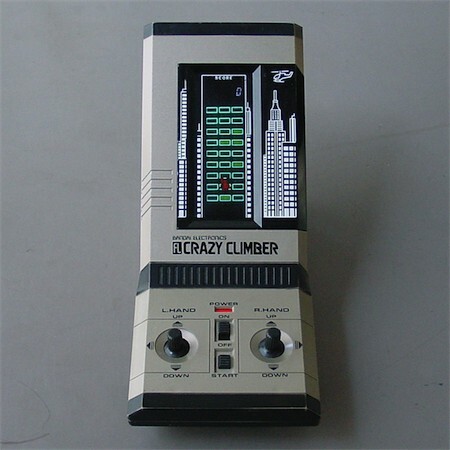 This game is a real Crazy Climber. 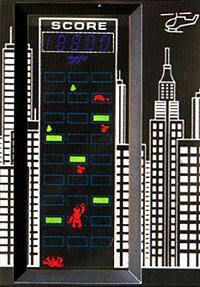 Unusual controls, where you must move two joysticks consecutively in order to climb. Then also a lot of random action: watch out for the condor (and its droppings), opening and closing windows and some maniac throwing flower pots at you! 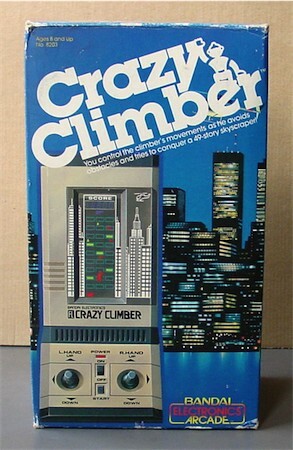 ENTEX also made a tabletop version of this game.